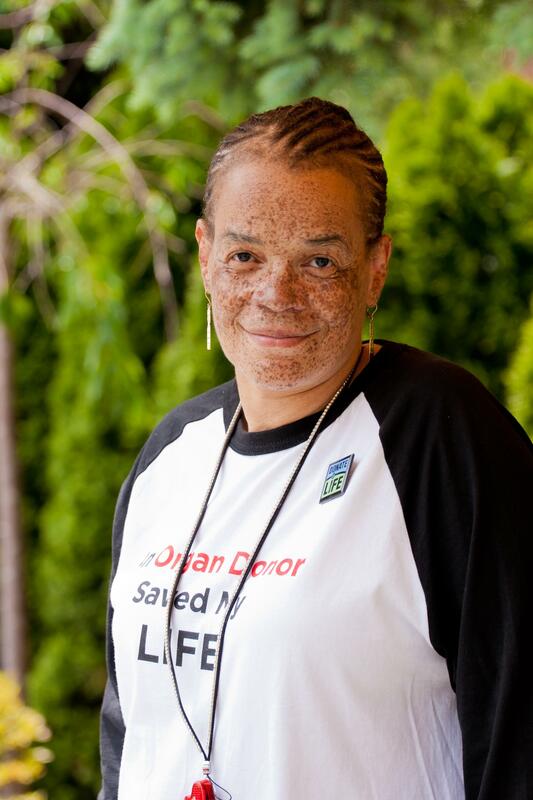 Roxanne received a heart transplant at Montefiore three years ago and since that time she has made it the mission to spend her “second life” encouraging people to sign up to be organ donors. She was very impressed that the family of her donor, who was a young coast guardsman killed in a motorcycle accident, made the decision that their son’s heart could make life possible for someone else. Roxanne recently received an award from the Organ Donor Network for signing up 2,000 people last year as potential donors. She was also the subject of a video which will be on the federal Health Services Administration website. One day she went to West Point and signed up 65 cadets! As a guest on Oprah’s TV show, heart transplant recipient Roxanne Watson ’87 expected to be interviewed about her unusual post-surgery compulsion to undertake carpentry jobs, leading her on daily trips to construction supply stores to purchase materials to renovate every room in her house. Instead of being asked about the two home theaters she constructed, Watson got the surprise of her life: the family of her formerly anonymous heart donor came on stage to meet her. Her donor’s identity was revealed as 23-year-old Mike Bovill, a Coast Guard serviceman and talented carpenter who helped construct the family home. He was returning to base on his motorcycle when he was struck by a truck on the George Washington Bridge on July 11, 2010. His driver’s license indicated his desire to donate his organs. Four years before Bovill’s accident, Watson, at age 51, never imagined that her existence would depend on this young man’s foresight and generosity. She was working as a general retail store manager for TJX Corporation’s AJ Wright store when her co-workers, suspecting she was ill, insisted she seek medical attention. She was admitted to the hospital, where it was determined she had suffered a heart attack six weeks earlier and would need a transplant. It was sobering for Watson to realize she might die before a suitable heart became available. “When the day finally came when I had a match, I was excited but very reflective, knowing that someone had lost a loved one,” she said. The transplant took place July 16, 2010, at Montefiore Medical Center in the Bronx. Watson is determined to encourage more people to sign a donor card, especially among the minority population that statistically needs the most organs. Although African Americans can receive a heart from any race, they comprise the majority of those who need organs because of their high rate of diabetes and hypertensive conditions. Watson earned her college degree at age 33. She transferred from RCC to Columbia University to major in history with the goal of becoming a college professor, but eventually returned to retail, which she loves. Watson uses her transplant experience to teach people how to save others through kindness—and through signing a donor card. “I tell young people to think positive thoughts—to get out there and help each other instead of bullying. Visit Roxanne Watson for more information. This entry was posted in Award, honoree, Recognition, women and tagged a new heart, Donation, donor, educated, education, have a heart, Health Services Administration, Heart Surgery, Heart Transplant Recipient, new york, NYC, open heart, Oprah Winfrey, organ Donor Network, research, retail, Roxanne Watson, scholar, sign up, Today's Honoree. Bookmark the permalink.